Miami is hoping upgrades to camera system will catch illegal dumpers. When people think of Miami, they often think of palm trees and beautiful beaches. But in reality many of the streets, alleys and rivers are lined with trash. There are recliners in the river, heaps of furniture and trash on street corners, and trash lining alley ways and train tracks near downtown. That trash can bring crime to an area, reduce property values, and it can get into the drinking water supply. During the summer of 2016, Miami city leaders announced a crackdown on illegal dumping. 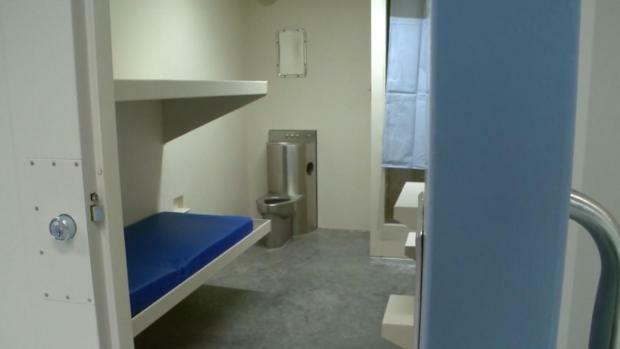 But the NBC 6 Investigators found they’re getting the same amount of complaints as before. A year later, they're hoping updated technology could reduce the complaints. "It's disgusting really,” said City of Miami Police Department Sergeant Alexander Canovas. The environmental officer grew up on the streets of Miami. It’s now his job to patrol the same streets, looking for illegal dumping. “When you grow up in this neighborhood you want to see it go up, not down,” said Sgt. Canovas. He’s one of four officers assigned to clean up the problem. A majority of his time is spent responding to 311 complaints. More people in our area complain about trash and illegal dumping than anything else. “Illegal dumping is a major problem, it leads to other crimes,” said Sgt. Canovas. When city officials held a news conference in July of 2016, they unveiled new surveillance cameras that would be installed to cut down on complaints and catch dumpers. But the NBC 6 Investigators found complaints haven’t gone down. In just the past year, more than 1,600 people made 311 complaints about trash. That’s about the same amount as of the same time last year. In fact, there has been a steady increase in complaints made over the past five years. “That goes to show you that illegal dumping is a chronic situation we need to be on top of,” said Sgt. Canovas. However the cameras the city unveiled haven’t paid off over the last year, at least not yet. “We’re working on the software problems, it’s having some glitches right now,” said Sgt. Canovas. Soon, the city will fully implement the five cameras in hot spots throughout the city. The cameras can be moved from location to location and they won’t just be recording surveillance video of known dumping hot spots. They’ll also stream LIVE video, right into the detective’s vehicles to catch people in the act. Why did the chicken cross Point Comfort Road? In this case, he wants them to slow down so the neighborhood children are safe. 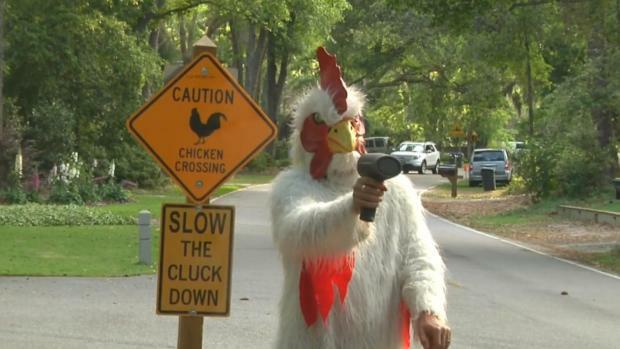 Every day, Logan Cambron suits up in white feathers, rubber feet, and a chicken head and starts his shift with a sign and radar gun. 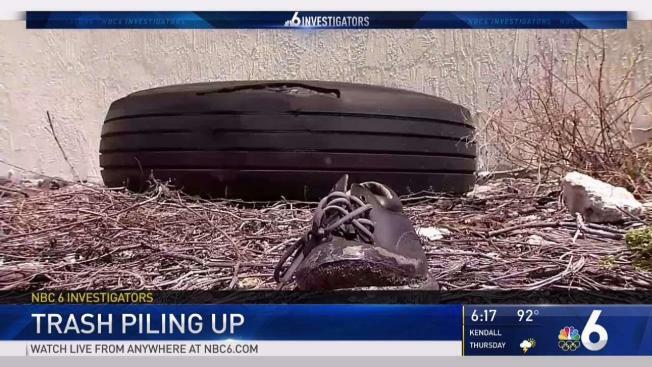 The NBC 6 Investigators crunched the 311 complaints and found many areas where dumping is a problem. The zip code with the most complaints is 33135, the area in Little Havana around SW 8th street. “My detective, even if he’s two blocks away, will be able to link it and review any footage we may have right away,” said Sgt. Canovas. If someone is caught illegal dumping, fines can range between $500 to $1,000 dollars. If you see illegal dumping, you’re urged to use 311 to report the problem.